NACA, WHO and UNAIDS welcome President Buhari’s new commitment to provide ARVs for 50,000 additional people living with HIV each year. New national HIV survey, a Trust Fund and support for local manufacture of ARVs in pipeline. ABUJA, 26 September 2017 – The National Agency for the Control of AIDS (NACA), WHO and UNAIDS welcome the Federal Government’s new commitment to use domestic funds to provide antiretroviral drugs to an additional 50,000 people living with HIV each year. “We are encouraged by the enthusiasm that the Federal Government is showing towards putting more of its own financial resources to the HIV response. This is one sure way of helping Nigeria to end AIDS by 2030,” said the Director General of NACA, Dr Sani Aliyu. “UNAIDS is thrilled by the new momentum and firm commitments that the Government of Nigeria is bringing to its HIV response. We are eager to support the process of putting more people living with HIV in Nigeria on treatment,” said the UNAIDS Country Director for Nigeria, Dr Erasmus Morah. Nigeria’s commitment was announced in a speech by the President of the Federal Republic of Nigeria, His Excellency Muhammadu Buhari, at the successfully concluded high-level side event convened by the President of Uganda, His Excellency Yoweri Museveni, in collaboration with UNAIDS, during the 72nd United Nations General Assembly in New York, USA. The side event was meant to accelerate action and get countries on the Fast Track to end AIDS by 2030. “We recognise the impact of the global financing environment and the need for shared responsibility in order to end AIDS in Nigeria by 2030,” said President Muhammadu Buhari in a statement read on his behalf by the Director General of NACA, Dr Sani Aliyu. “Thus, we have committed to increased domestic resourcing of the AIDS response. In the light of this, the Government of Nigeria is committed to maintain the current 60,000 plus clients on life saving medicines and an additional 50,000 new clients per year,” President Buhari said. He announced that Nigeria had already put more than one million people living with HIV on treatment. Other important new commitments announced by President Buhari included working with partners to conduct a national population-based HIV survey to gather new evidence to guide Nigeria’s response, a plan to establish a private-sector funded AIDS Trust Fund as well as securing of HIV funding commitments from the States. 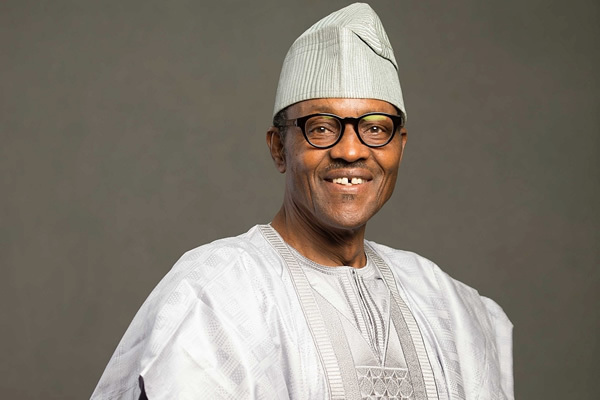 President Buhari also expressed commitment to offering an enabling environment for the local manufacture of antiretroviral drugs in support of Nigeria’s policy to immediately put any person who tests positive for HIV on treatment. At the side event, Dr Aliyu spoke on behalf President Buhari before the King of Swaziland, the Presidents of Malawi, Seychelles, Uganda and Zambia, the Vice President of Botswana, representatives of the United States and China, the UNAIDS Executive Director, as well as representatives of people living with HIV. For all enquiries and information, send us message using the contact page. National Agency for the Control of AIDS can be reached by mailing our address or calling the phone number listed under contact. We can also be reached on almost all the social media platform.